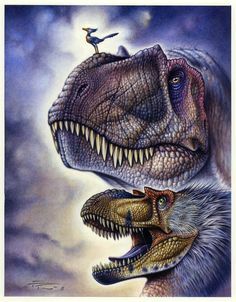 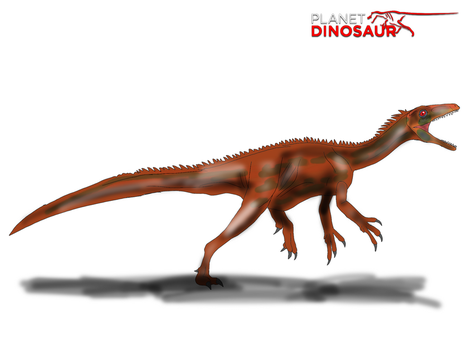 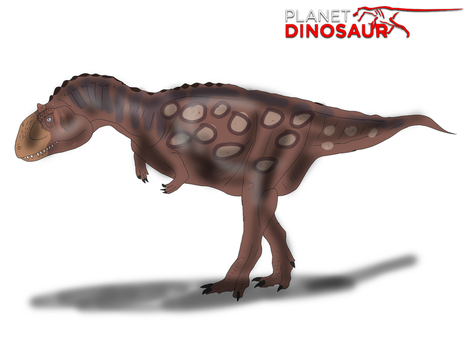 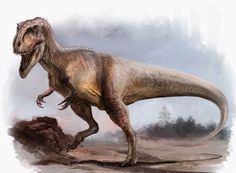 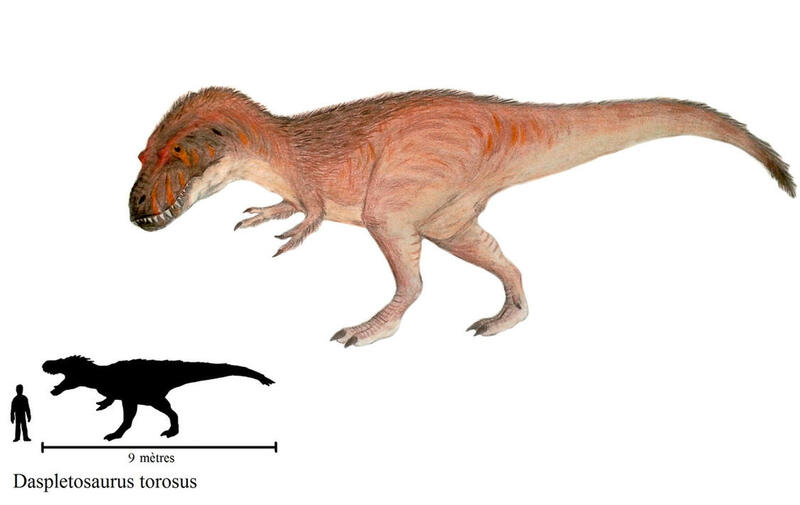 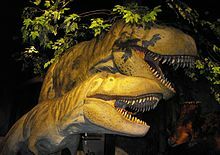 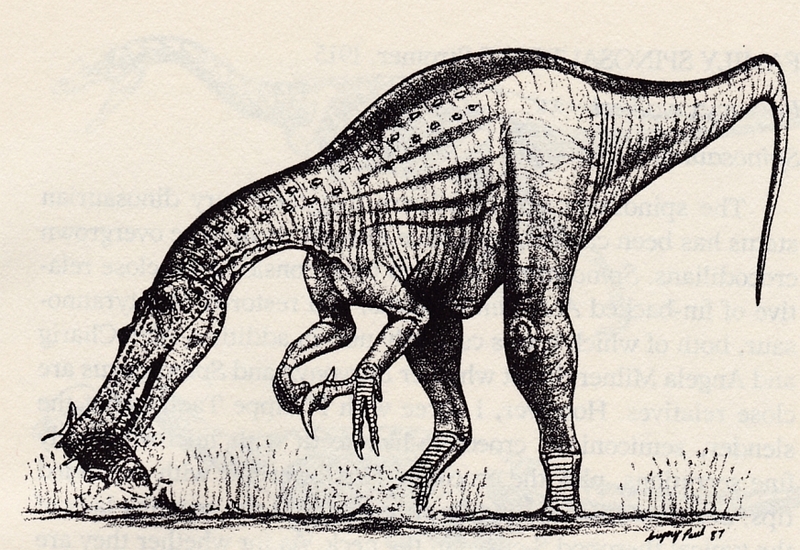 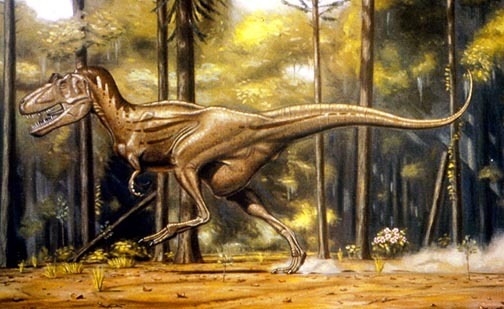 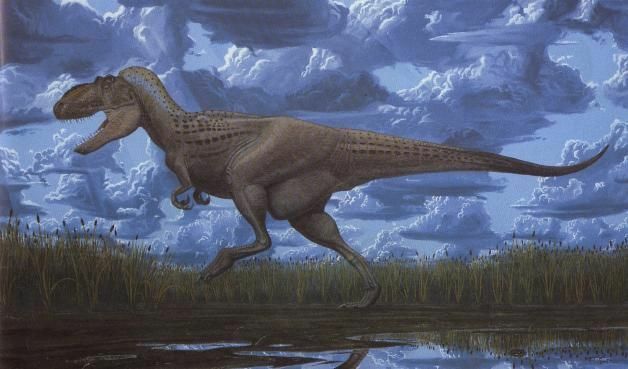 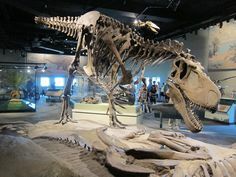 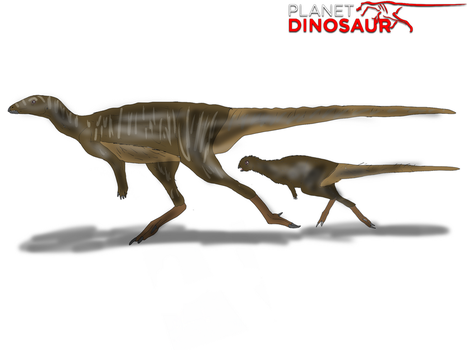 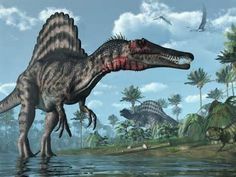 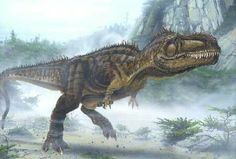 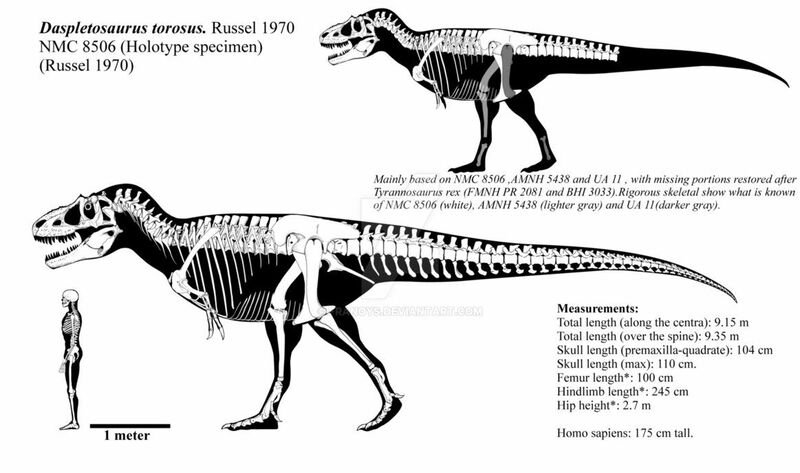 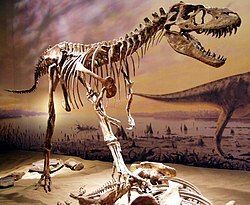 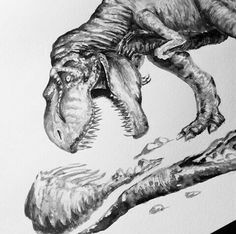 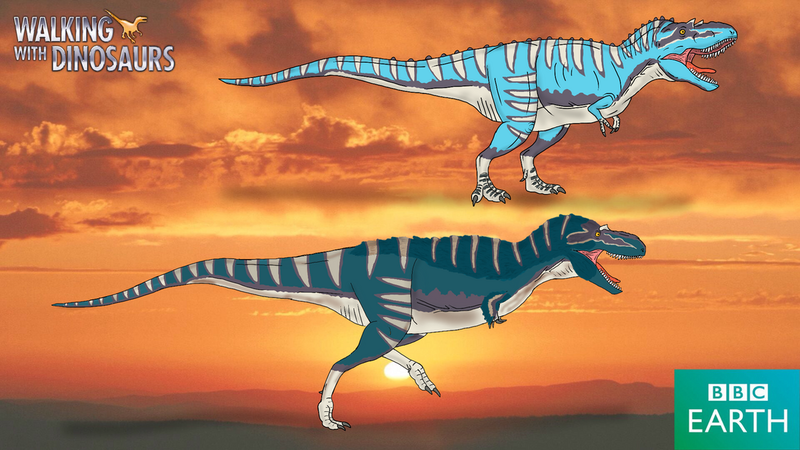 Allosaurus and Camarasaurs. 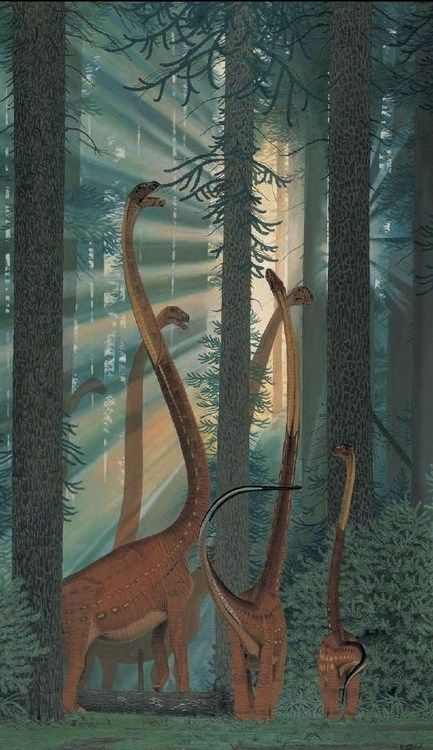 Painting looks like it might be Gregory S. Paul? 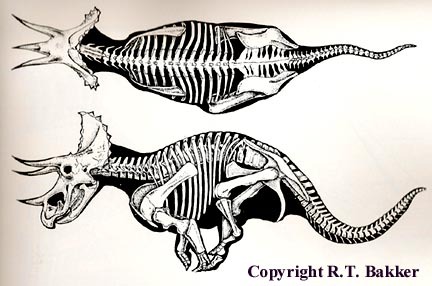 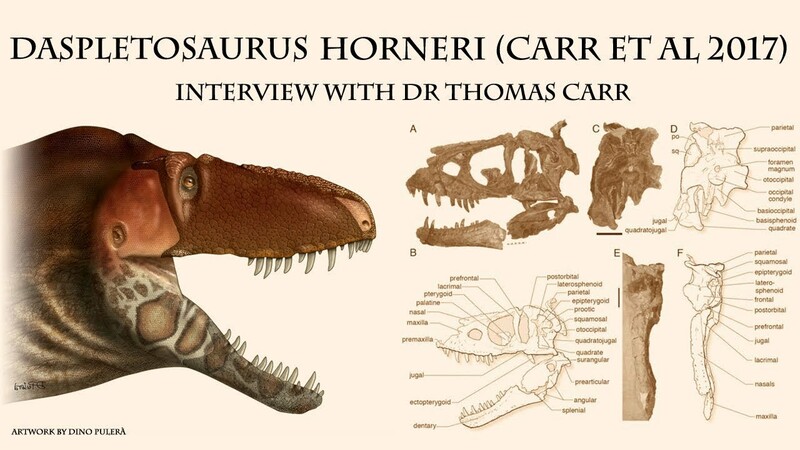 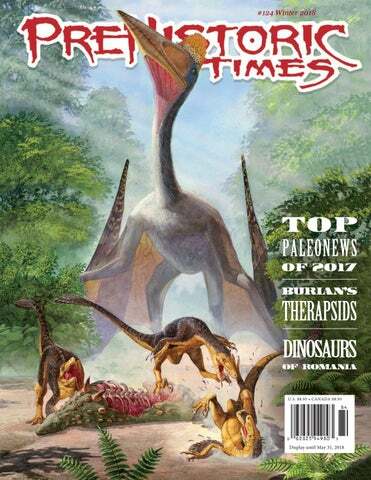 Next year it would be the cover illustration of Laurence Pringle's Dinosaurs and People, which also used some of my other output. 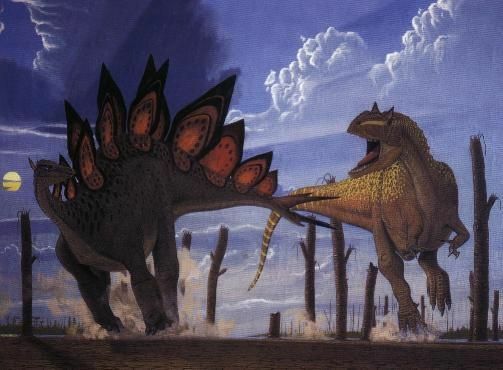 Allosaurus vs Stegosaurus by Gregory S. Paul. 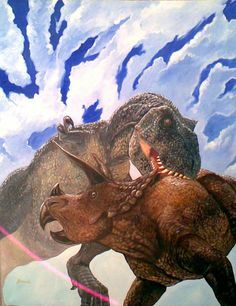 Front cover artwork for one of the Prehistoric Times anniversary issues. 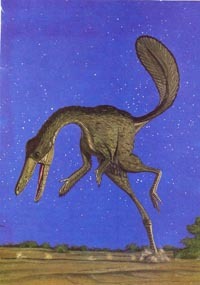 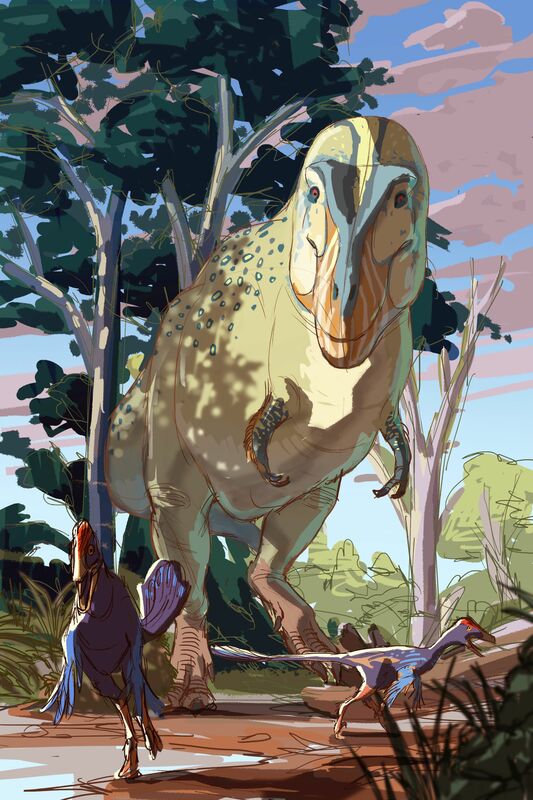 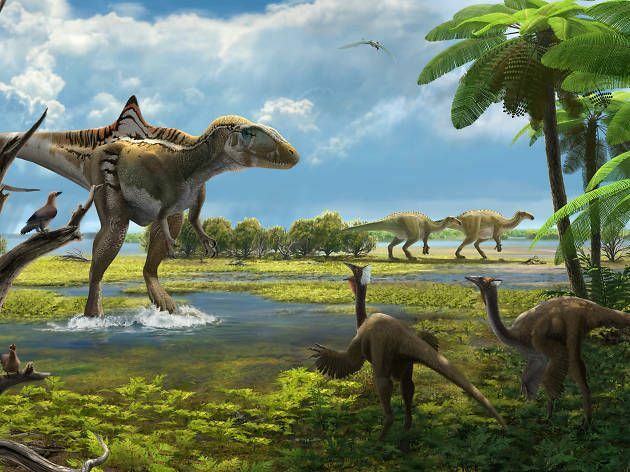 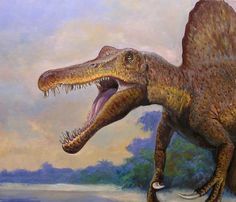 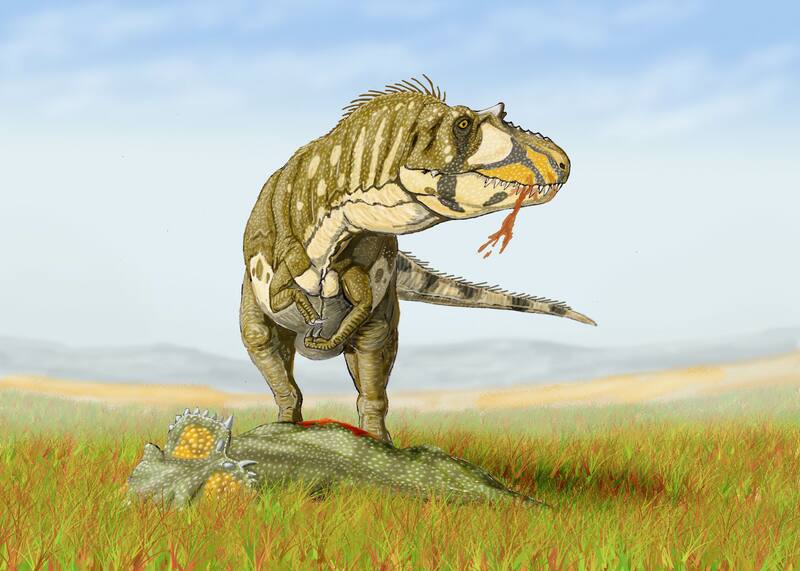 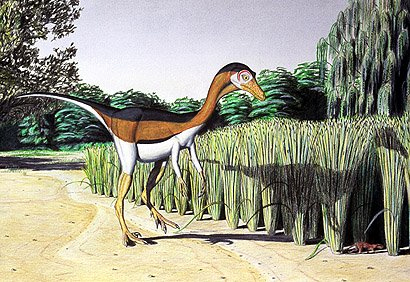 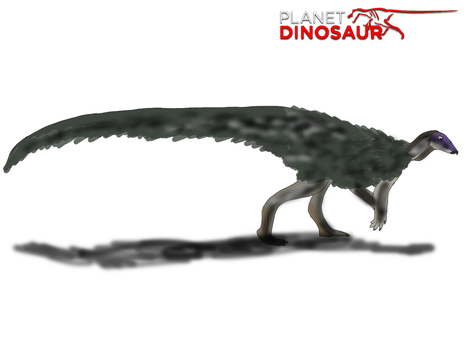 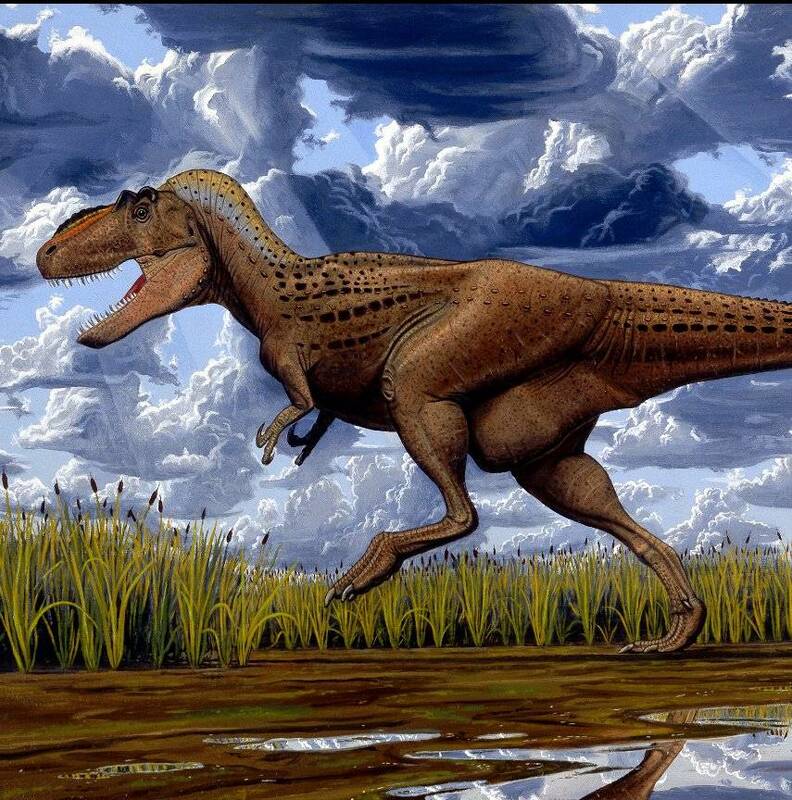 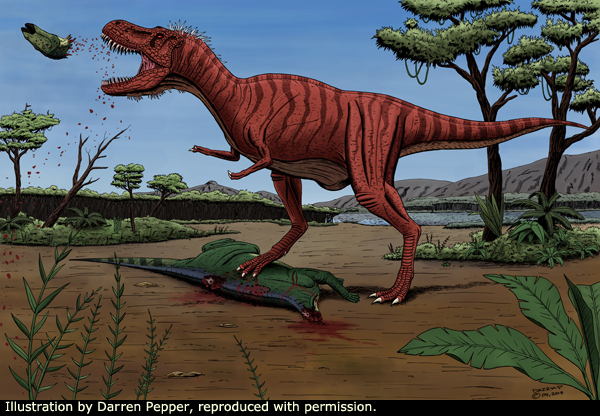 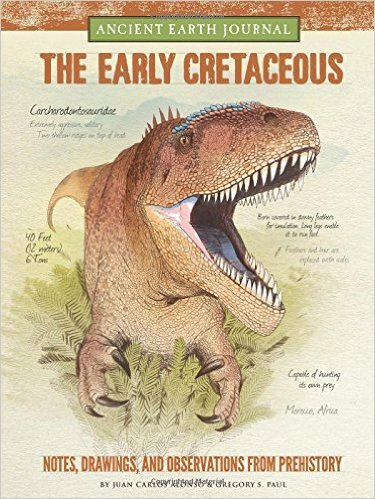 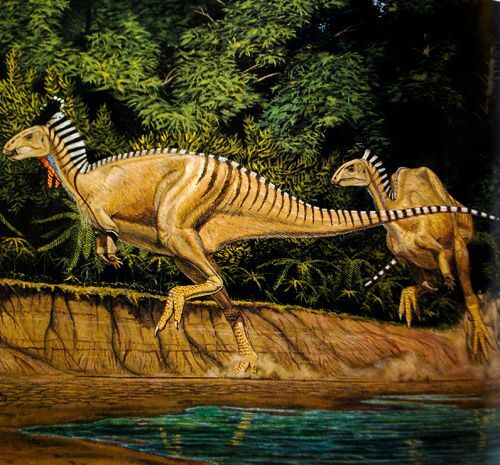 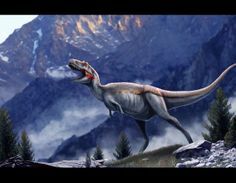 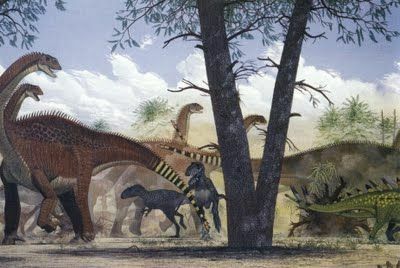 ... Tendaguru landscape earlier that year, and the year before showed a feathered Allosaurus attacking a Diplodocus herd on land. 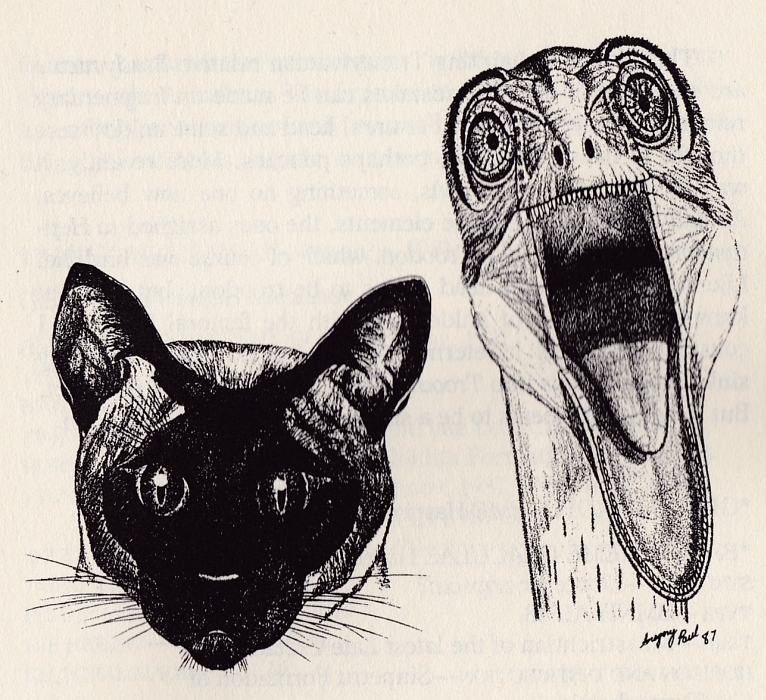 Perhaps I was conflicted. 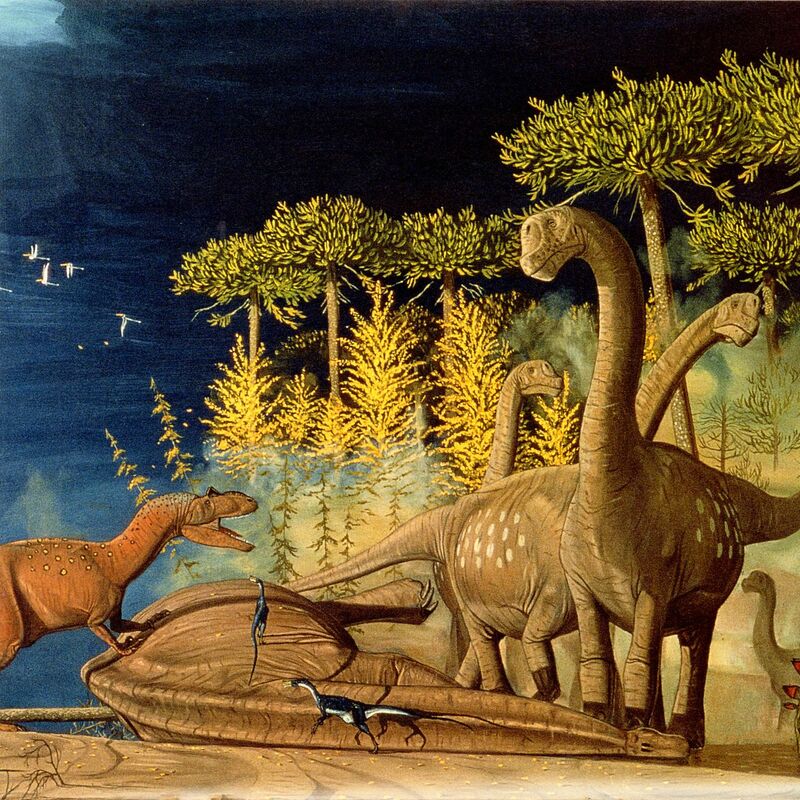 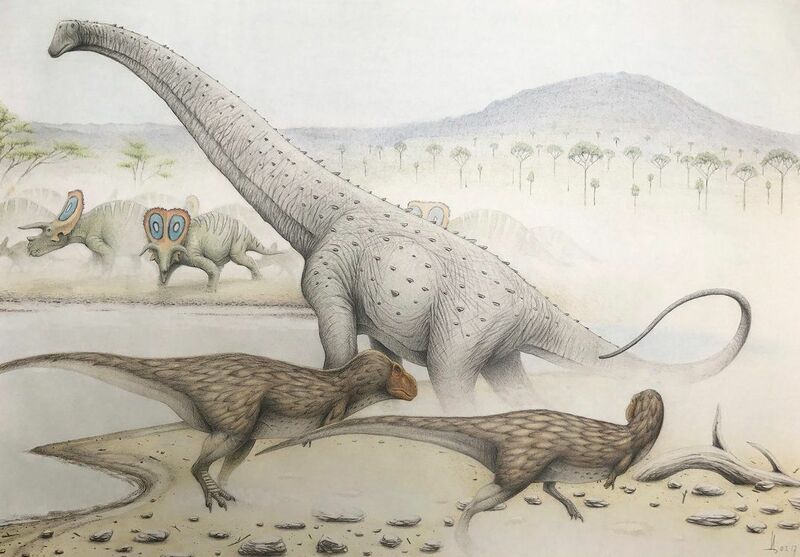 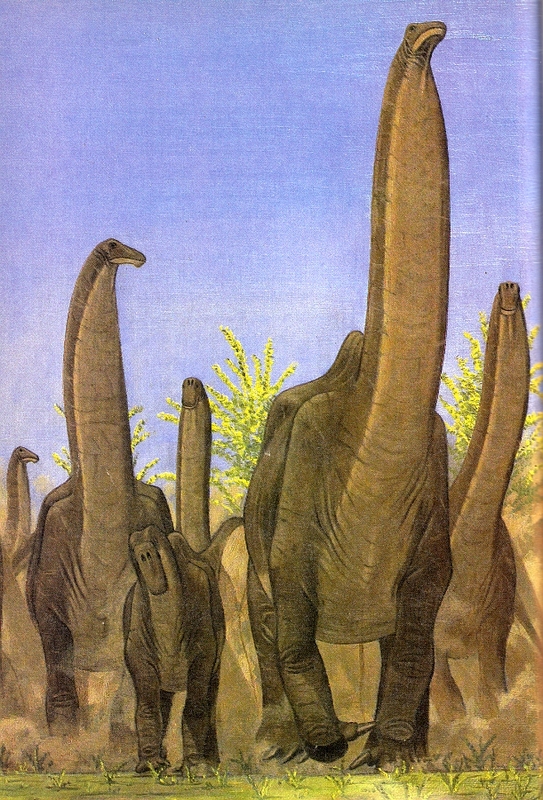 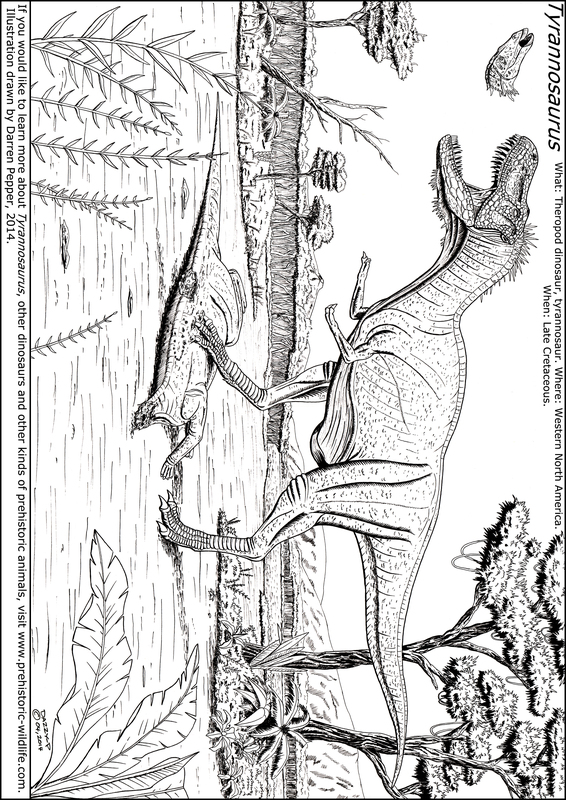 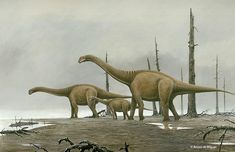 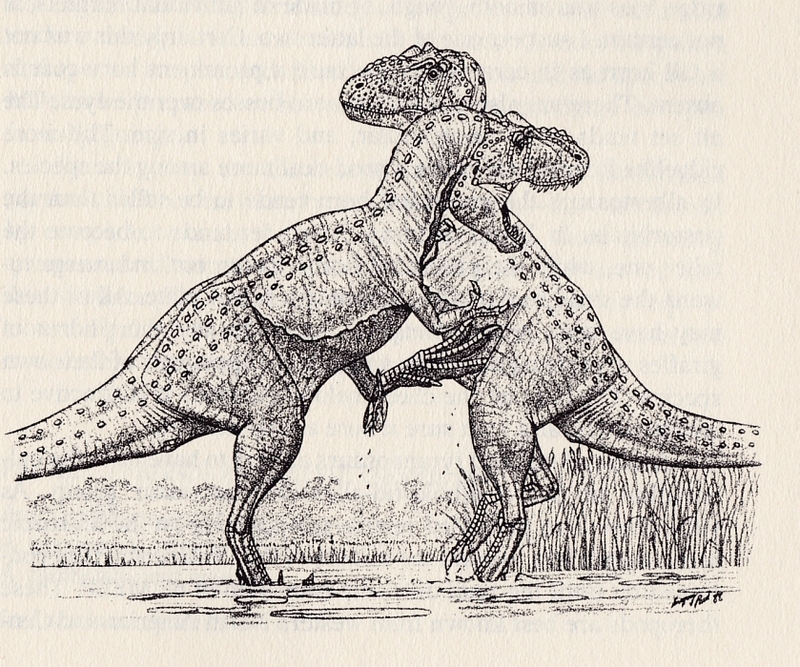 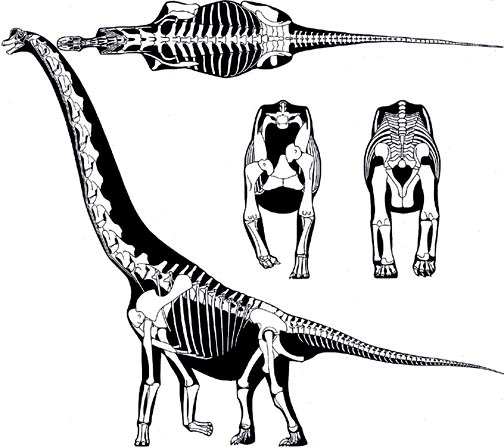 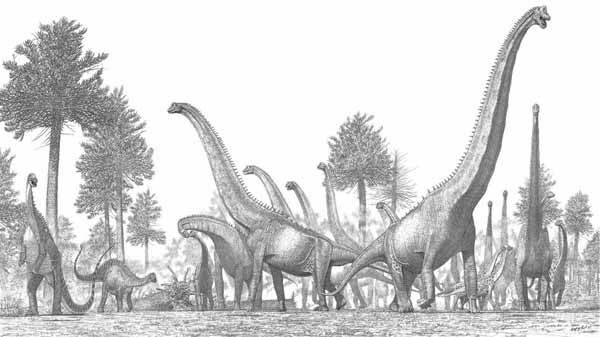 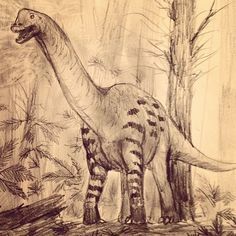 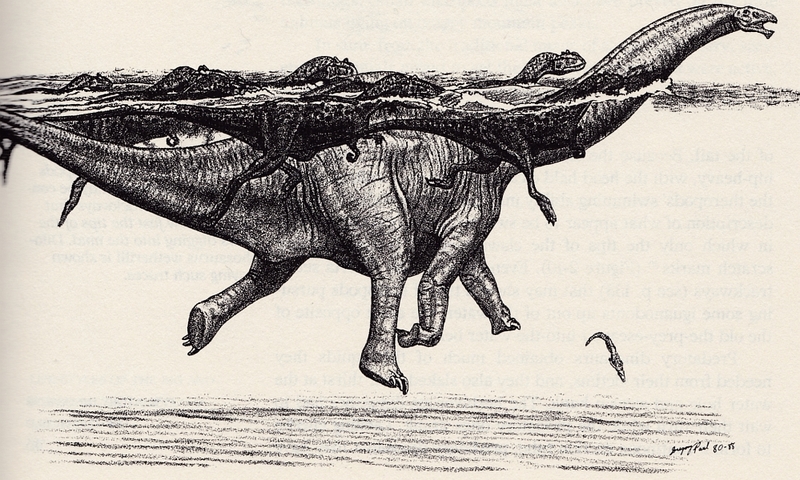 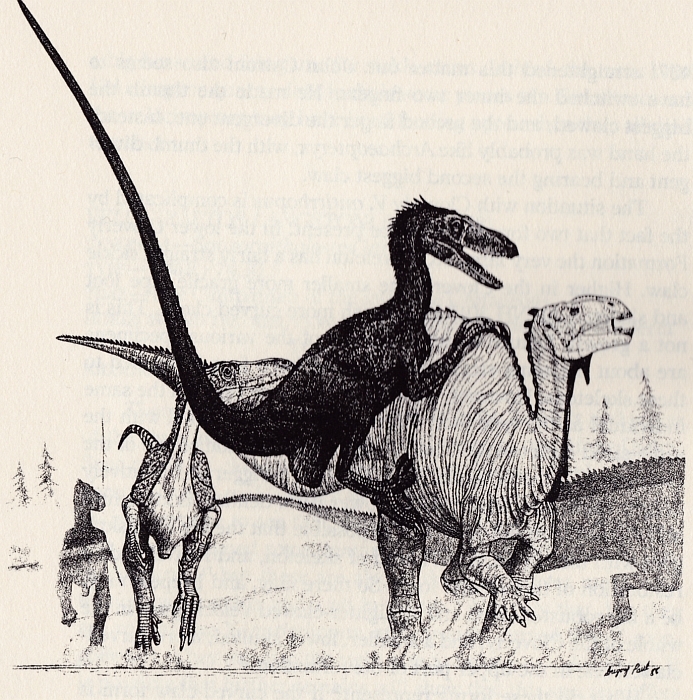 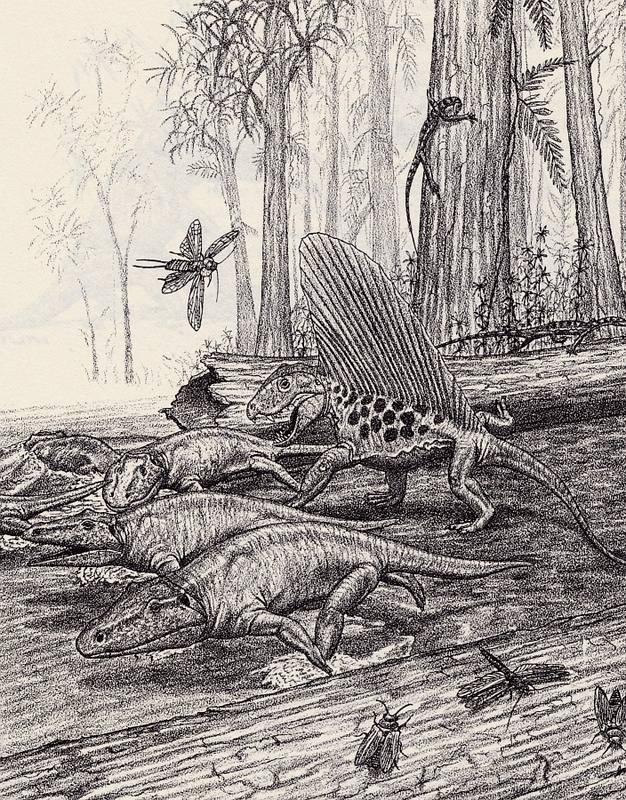 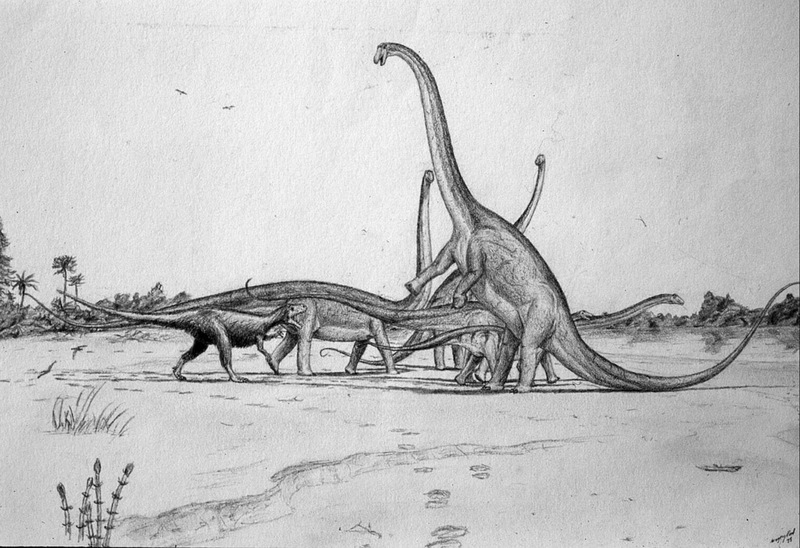 One of Gregory S. Paul's most famous sauropod scenes. 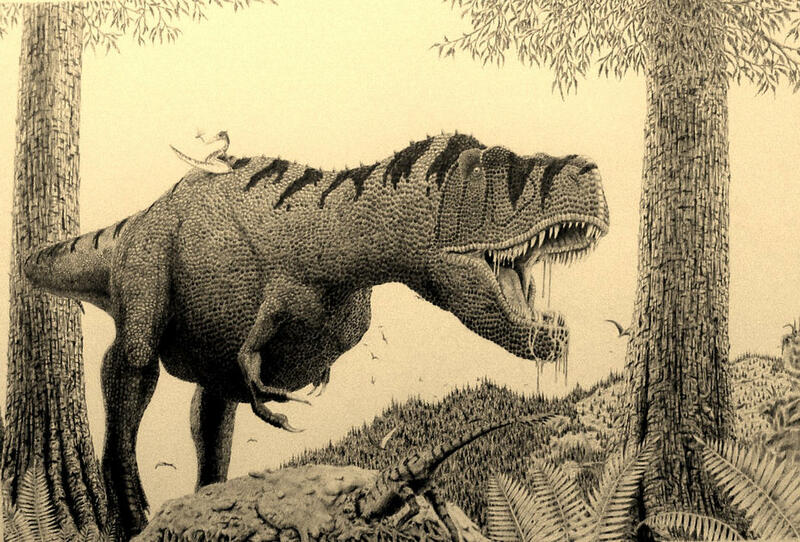 Love the detailed pencil work here. 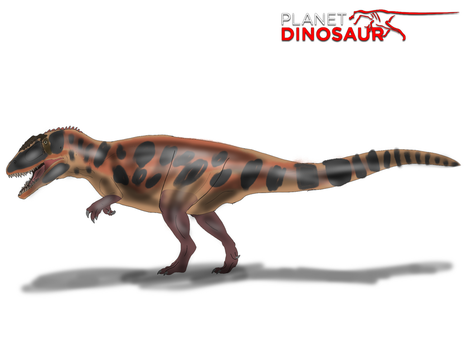 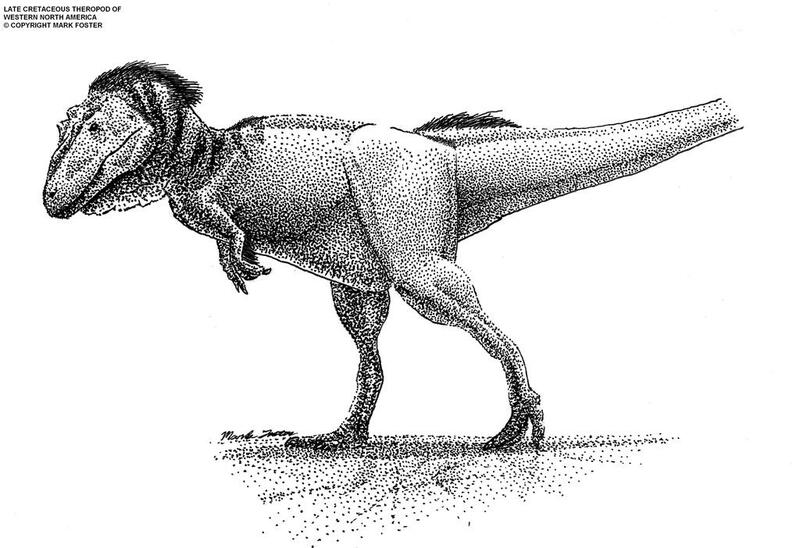 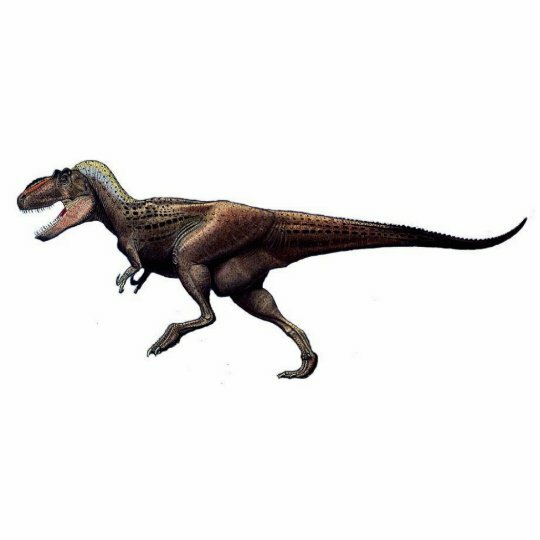 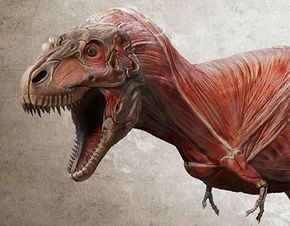 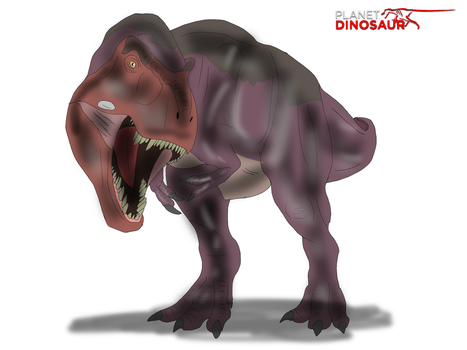 Daspletosaurus torosus Axial length: 9m Hip height: 3-5m Weight: 3,6 metric t.
"The Princeton Field Guide to Dinosaurs" - 2nd edition. 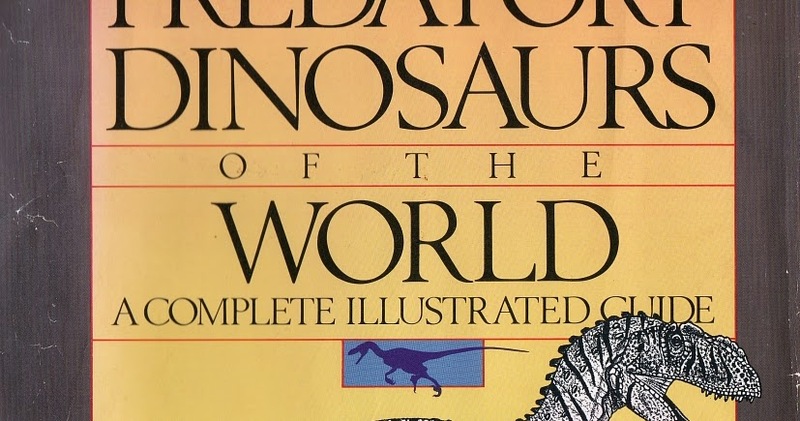 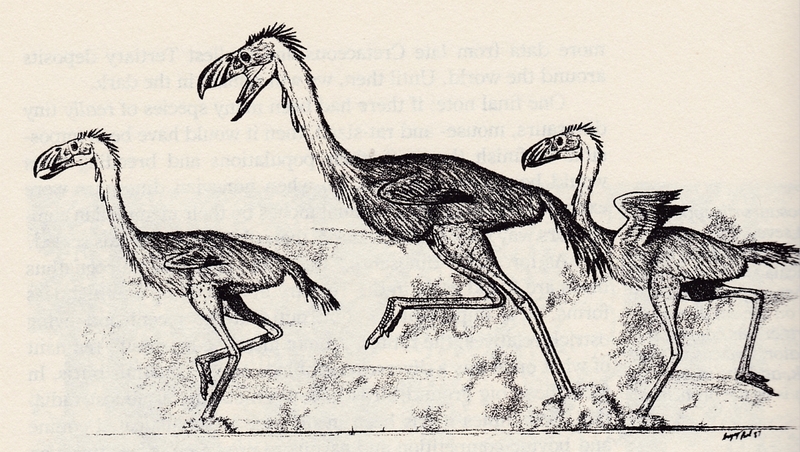 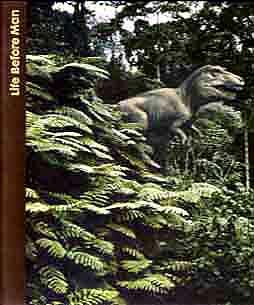 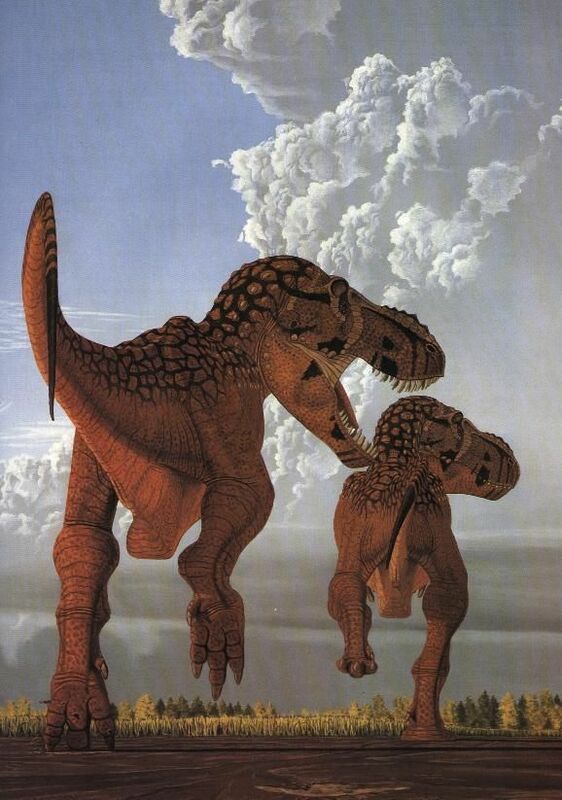 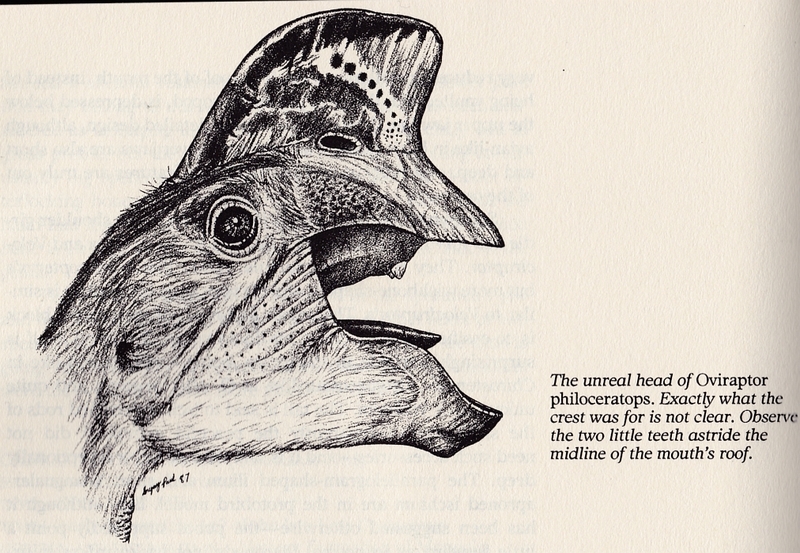 The first time I became explicitly aware of the emerging Dinosaur Renaissance was when I ordered the Time-Life book Life Before Man in 1972. 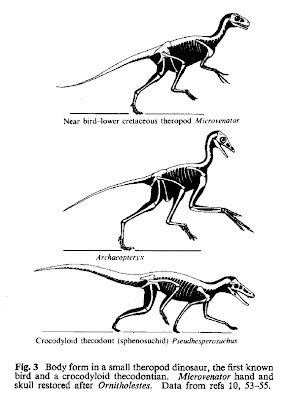 The pose isn't identical to the one eventually adopted by Greg Paul, but the influence seems clear. 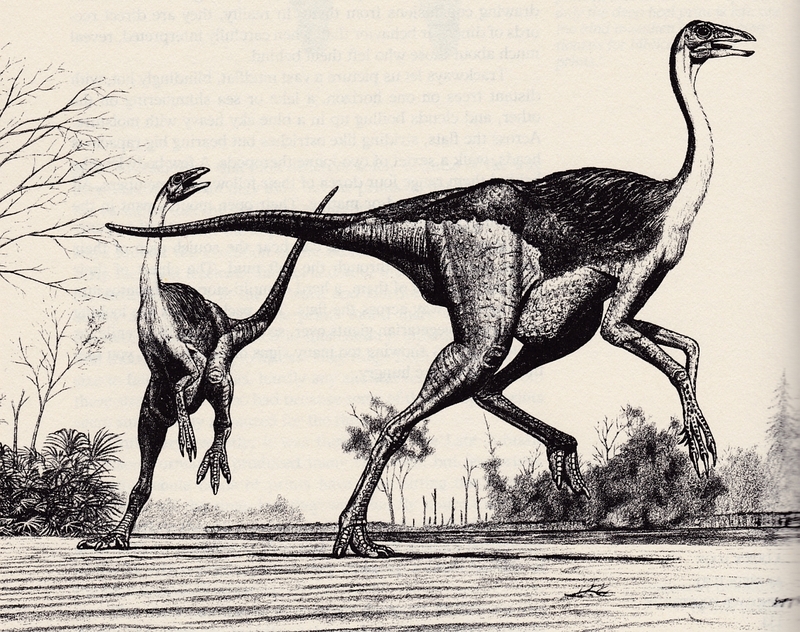 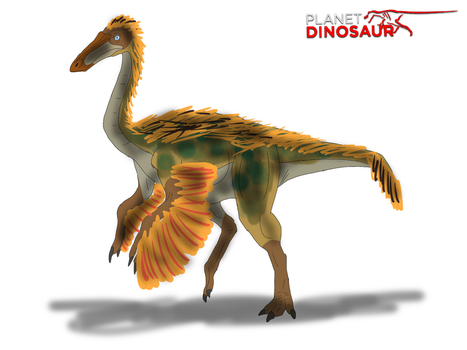 Ever since the early '80s I have applied feathers to many of the small dinosaurs, and never did smaller theropods without them. 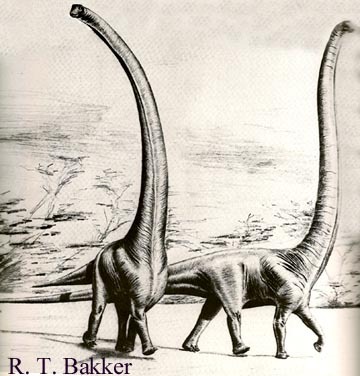 I proposed the thesis in a little paper in the Third Symposium on Mesozoic Terrestrial Ecosystems volume in 1984, my first technical paper. 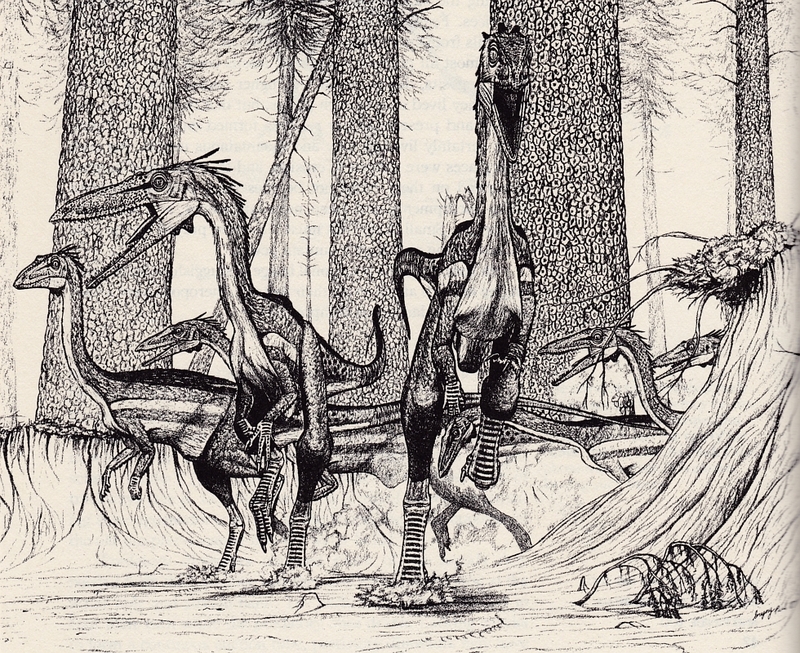 Still, this is a very cool drawing - I can't wonder if inspired John Conway's Huaxiagnathus painting, consciously or otherwise. 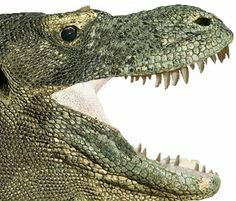 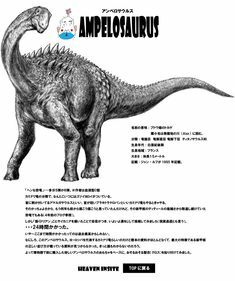 ... more loveable than a reptilian behemoth the size of a house probably should. 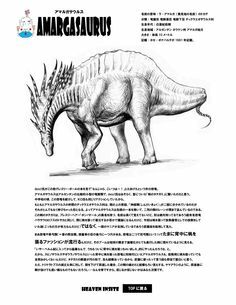 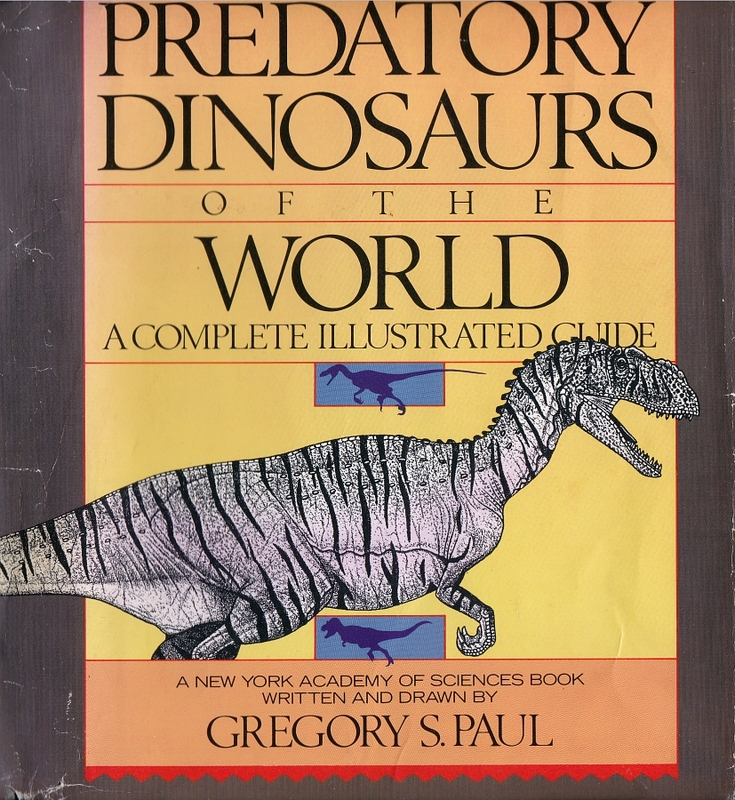 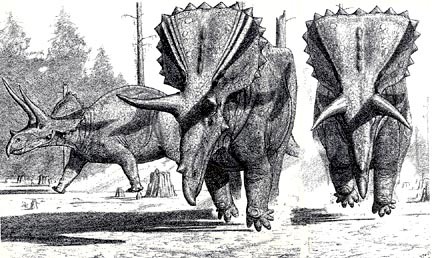 But we haven't just got sauropods - we've got Gregory S Paul™ sauropods! 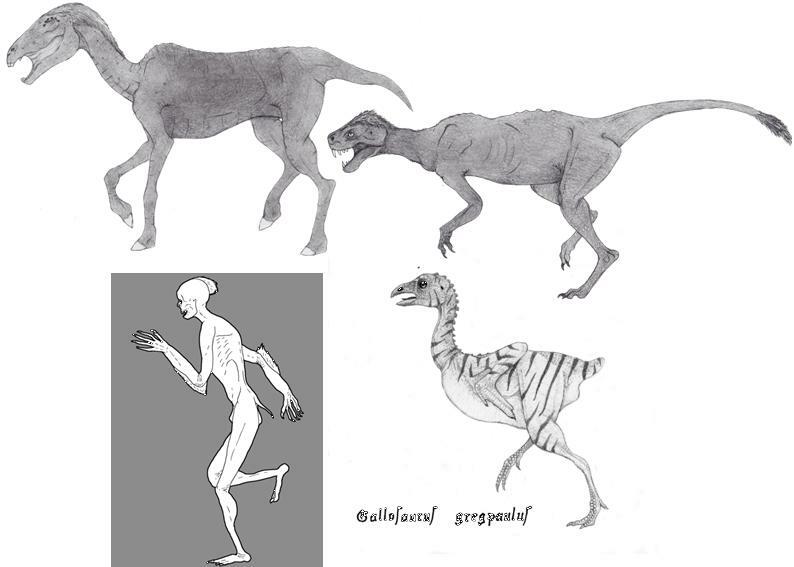 Mojo dinosaur and prehistoric animal models.